>Shroomshop>Magic Truffles> How Do Magic Truffles Work? The psilocybin experience is a very individual one and depends on many different factors. Firstly, the people themselves and in the way their body responds to the substances. Secondly, the external factors of dosage, set and setting. The effect of the entheogenic combo psilocybin/psilocin/baeocystin/norbaeocystin sets in about 20 to 60 minutes after ingestion, sometimes first effects show up even after only 10 minutes. The psychedelic journey lasts between three and four, rarely five or even six hours, before it gradually subsides. Denoted as the most intensive after the peak, are the first three to four hours, many psychonauts report a wavy continuation of the trip. Psilocybin/psilocin experiences are usually pretty colorful and often influenced by Indian visions. Unlike, for example, the related tryptamin entheogen LSD-25, which can ,for some psychonauts, sometimes act a little too edgy, powerful and unstable; psilocybin induces a more stable high, which may be accompanied by warmth and various good feelings (which in many cases is the same with LSD). Colorful mandalas disrobe behind closed eyelids, visions of gods and elves flood the mind. The world is more alive than it already is. The ground billows and breathes everywhere, plants start to talk and the boundaries of the outside world, the macrocosm, blur with those of the inner microcosm. Of course, the entheogenic effects of the molecules are not to be despised and especially: not to be underestimated. On psilocybin/psilocin, the psychonaut will make - we talk about visionary doses - profound experiences in the cosmos of his soul, must cope with transfiguration, birth and death experiences, may encounter strange, weird creatures and enter completely unknown worlds. Right here lies the danger for some users. If the unknown and unusual, unclassifiable experiences become overwhelming, it can result in panic and fear to never be normal again. In such case it is always required to have a trip sitter to encourage the victim and tell her/him, that the state will be back to normal soon. There is no reason to be afraid: at correct dosages the molecules psilocybin, psilocin and baeocystin/norbaeocystin are in no way harmful or toxic for the human body nor tainted with dangerous side-effects. The worst could be: high blood pressure and heart rate, sweating, restlessness, nausea and panic. These side effects are of a temporary nature and cause no consequential damages. The psychedelic tryptamines leave the body completely within a short period of time. Will You Experience A Psilocybin Hangover? The user possibly has a little headache following the experience, feels tired and worn, sometimes even depressed. But these are also only temporary phenomena, which should quickly be overcome after a good night's sleep. 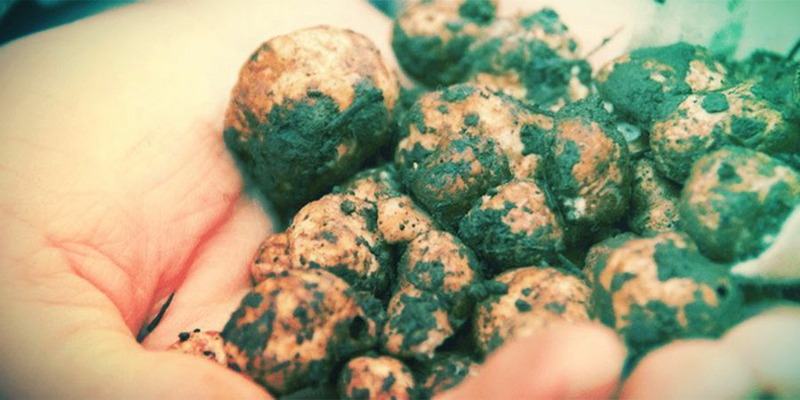 Magic truffles don't induce strong visionary experiences in lower doses, but joy, light optics, a sense of well-being and often increased creativity. But some people can't cope with low-threshold dosages and feel uncomfortable. Consuming shrooms doesn't have to be a nauseating experience. Enjoy that psychedelic trip, courtesy of our five best methods for consumption.